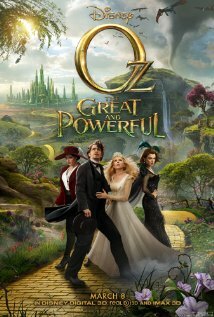 This weekend the Kingman Historic Theatre will be showing Oz the Great and Powerful at 7:30 P.M. on Friday, April 5 and Saturday, April 6 and at 3:00 P.M. on Sunday, April 7. This movie is rated PG and stars James Franco, Michelle Williams, and Rachel Weisz . This unofficial prequel to The Wizard of Oz takes on the challenge of explaining how the great and powerful Wizard arrived in Oz in the first place, telling the story of a small-time magician swept away to an enchanted land and forced into a power struggle between three witches. Check out Oz the Great and Powerful trailer.